Meet Sadie Blue the beagle. When Sadie was a puppy, she was a bonafide puller. She was so determined to forge ahead on her walk at full-speed that whoever was on the other end of her leash had to run to keep up, and Sadie herself would cough and gag as her collar choked her. Even the inability to breathe properly didn’t stop Sadie from pulling as hard as she could each and every time she took a walk. Her pulling habits were so bad, in fact, that her own doggy daddy sometimes opted not to walk her, worrying about the damage she might be doing to her neck, shoulders, and back. Luckily for Sadie, her doggy daddy eventually discovered the benefits of the harness, and as a result, Sadie and her pet parents have been enjoying safe, comfortable, enjoyable walks for over a decade. In general, walking a dog wearing a harness is safer than walking a dog wearing a collar. Most harnesses offer you better control over your dog than a collar allows. Some even feature handles on the back, which you can use to assist a dog who may need help getting to his feet. In addition, harnesses can minimize the health damage a dog may incur from pulling too hard while wearing a collar. The leash is less likely to get tangled in your dog’s legs and your dog is less likely to choke or strangle while a collar presses against his trachea as he pulls against his leash. Harnesses are often easier on your dog’s back and neck, as well as on your arms. For some breeds, harnesses are practically a medical necessity. Certain breed issues, such as protruding eyes or collapsing trachea, almost mandate a harness as opposed to a collar for the purpose of walking. Harnesses are more secure, as well, as they are more difficult for a dog to slip out of as compared to a collar, which a dog can usually back out of with relative ease. All that said, the coat of long-haired breeds can become entangled in a harness, and harnesses may be more difficult to put on and take off your dog. They also do not serve as a replacement for a collar, which should display your dog’s identification tags at all times. You also should not leave a harness on your dog indefinitely; it should be worn during excursions only. Does the material seem sturdy, or is it flimsy and weak? Ideally, the harness will be flexible enough to allow a slight give but will feel stable and well-made. Do the clips seem sturdy? Are the clips metal or plastic? While plastic clips are lighter weight, metal clips may last longer. Does the harness feature a reflective material for nighttime walks? Does the harness offer a cooling function for the summer heat? Does the harness feature a handle? Depending on the size, temperament, and lifestyle of your dog, the answers to the above questions may play a larger or small role in whether or not the harness is durable and safe enough. For example, if you rarely walk after sunset, a reflective material is probably less important for you than for someone who often finds herself walking in the dark. Can you see areas that may pull on or rub your dog, for example, the armpits? Is the harness adjustable? To what degree? Are there visible pressure points? Does the harness feature a padded chest to decrease pressure on your dog’s sternum and neck? How easy or difficult will the harness be put on and take off your dog? Of course, you also need to be able to afford the harness your dog will wear. Consider the value for your money, and remember that a harness is an investment in your dog’s health and safety. A back-clip harness is one whose leash connection is located on the back of the harness. 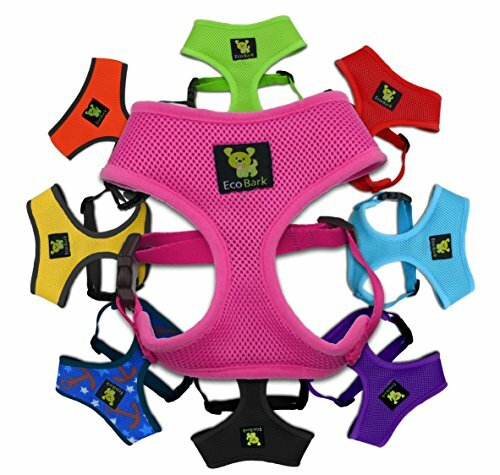 These are best suited for small dogs and are good if your primary goal is exercise. 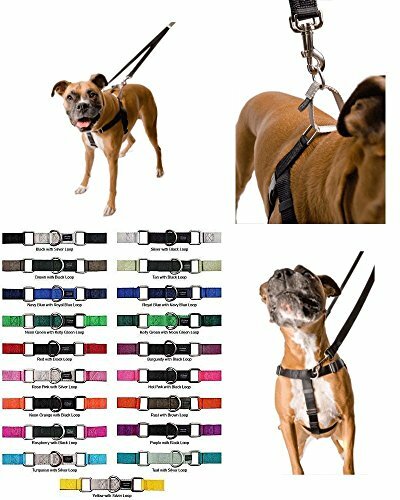 Back-clip harnesses are not, however, recommended for dogs who excessively pulling or for training, as they may actually encourage pulling. Back-clip harnesses offer more control than a collar, and your dog cannot slip out of it as easily, but it can still allow for some pulling. It will not, however, restrict your dog’s throat if he pulls. We like the Ruffwear Front Range harness. It’s durable and safe with a sturdy clip, and even features an identification pocket for your and your dog’s information. It’s also comfortable, with a padded chest, easy on/off, and several adjustment options. Finally, it’s affordable and likely to last the lifetime of your dog. This is an excellent choice for excessive pullers. We like the Freedom No-Pull harness. With the option of clipping the leash to the front, back, or both, it offers more versatility than any other harness we found. It also minimizes strain on your dog’s neck and back. With four adjustment positions and a soft lining, it is also a comfortable fit for Fido. You can score this harness for a minimal investment. Sadie Blue, the wannabe sled dog mentioned above, uses a front-clip harness to curb her pulling. A front-clip harness directs your dog’s attention back toward you if she pulls. 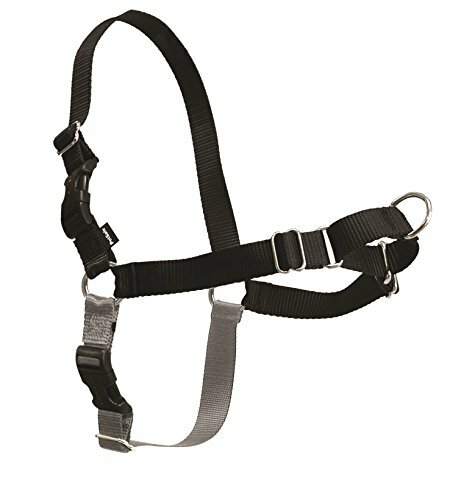 These types of harnesses are optimal for walks for pullers, as it gives you more leverage. They can also prove effective for training because they redirect your dog to look at you. That said, a front-clip harness may not be good for dogs with reactive tendencies or aggression issues, as it may not give you enough control. 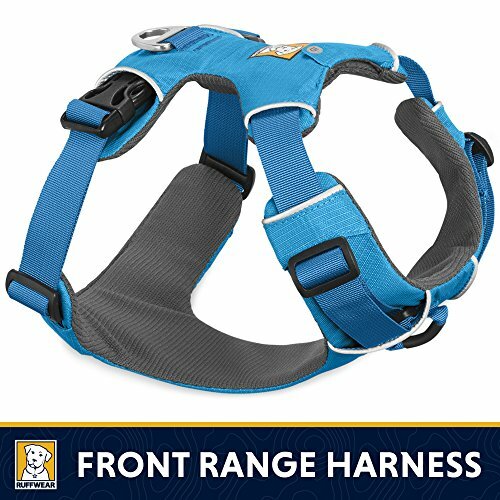 The front-clip harness shown below, available on Amazon, is both durable and safe. Because it steers your dog to face you if needed, it safely redirects your dog’s attention without dangerously yanking on her neck or back. Regarding comfort, this harness features four adjustment points. It’s also very affordable, and, should you need a replacement, you can purchase it at a discount. Mesh harnesses can be good for little dogs and dogs with neck issues. Our recommendation below is made from recycled water bottles and features extra padding for comfort. It is also breathable and lightweight. One word of caution: to put this harness on your dog, her head must fit through the neck hole, so be sure to measure your dog before purchasing a particular size. This harness is a great deal. While harnesses may give you more control and add comfort to your dog’s walk, and a front-clip can be helpful in training, really, no harness is intended to stop your dog from pulling or to teach your dog not to pull. The use of a harness merely alleviates discomfort for you and your dog and increases the safety of your walks. If you want to train your dog not to pull on the leash, check out these tips from the AKC and these hints from Red Rover.